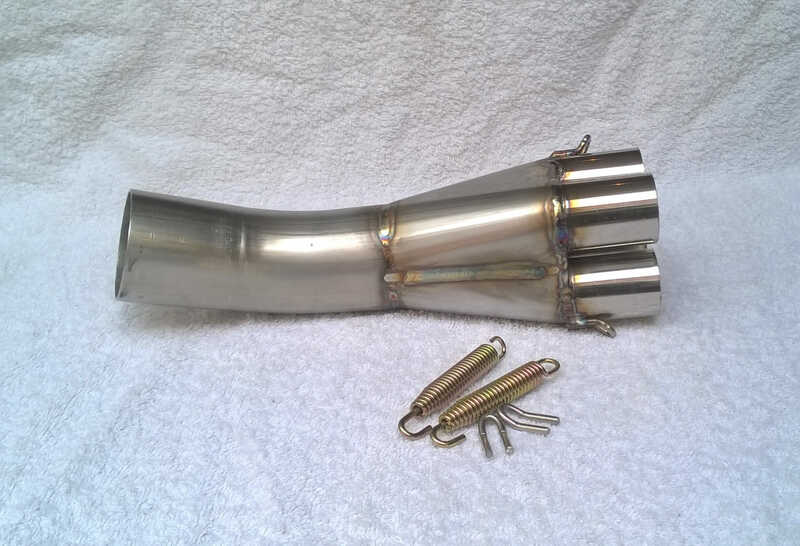 This exhaust collector, for the 4 cylinder K series, is the ideal solution if you want to replace the stock exhaust with a different aftermarket silencer. 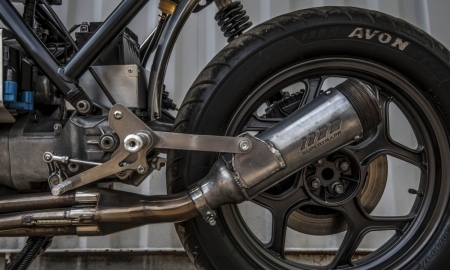 The stock K silencer is big, heavy, ugly to some and could be nearly 30 years old now. 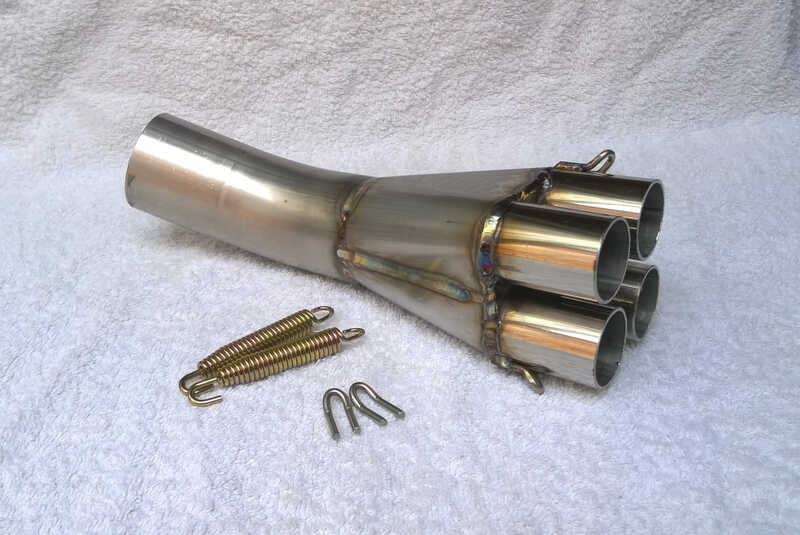 The header pipes on the other hand are good quality stainless steel, they clean up and last well and are perfectly adequate even for a tuned engine. There are some complete systems available for the K but they are not to everyone’s taste and some are of dubious quality. 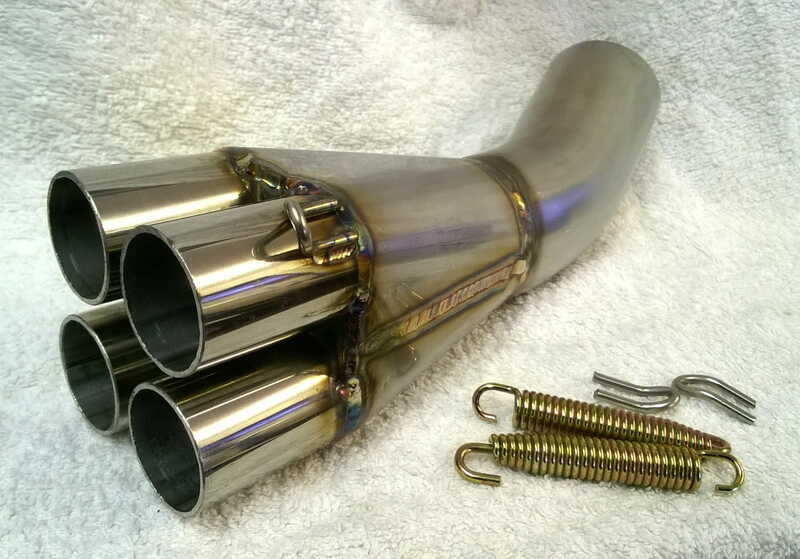 This collector can be used in conjunction with the stock headers to allow fitment of our Pro-Race Exhaust or a silencer of your choice. 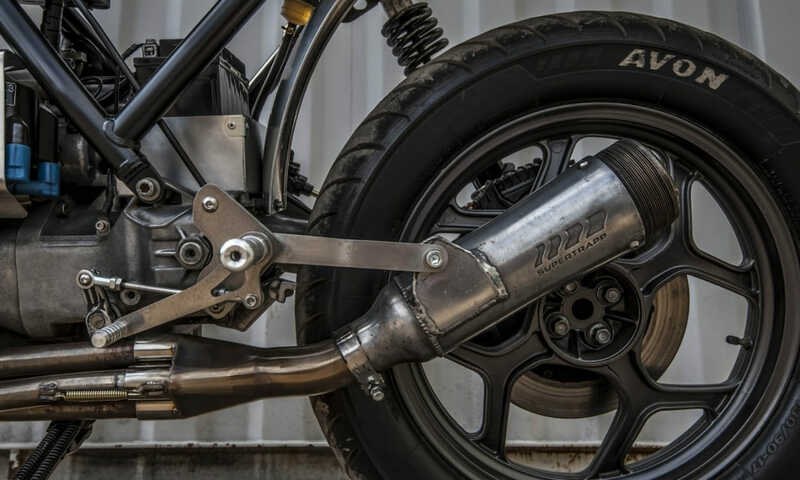 If you are looking to replace the K silencer because it is worn out, you want something smaller or with better performance, you are modifying your bike or just want a system that looks better, this collector is ideal. It is suitable for road or race use. The collector is made from 304 16 gauge stainless steel which has good characteristics in resistance to oxidation, corrosion, and durability. 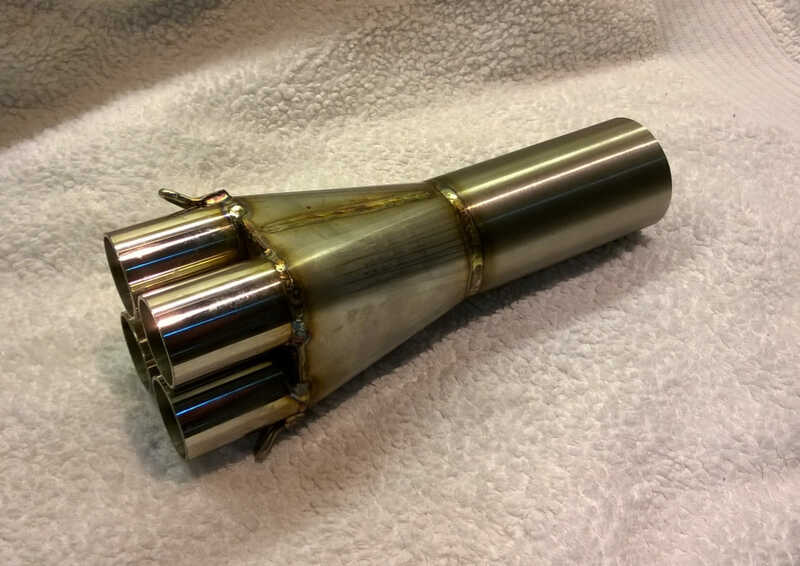 It is fabricated by computer controlled laser cutter from sheet metal for precision, then rolled and tig welded and finished by hand. The 4 inlets are a push fit over the stock header pipes and it is secured by 2 swivel springs (supplied). 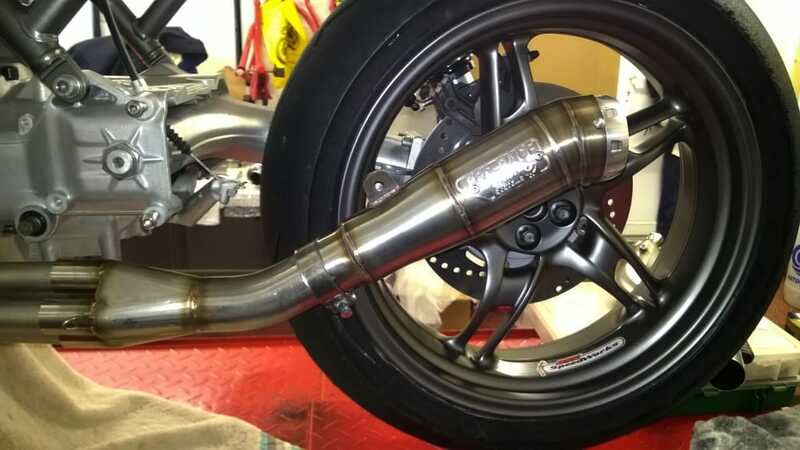 The outlet is positioned at 30 degrees to aid ground clearance and is 2 inch (50.8mm) outside diameter to allow fitment of most aftermarket silencers. The collector is also available with a shorter, straight outlet, which is 230mm in length. 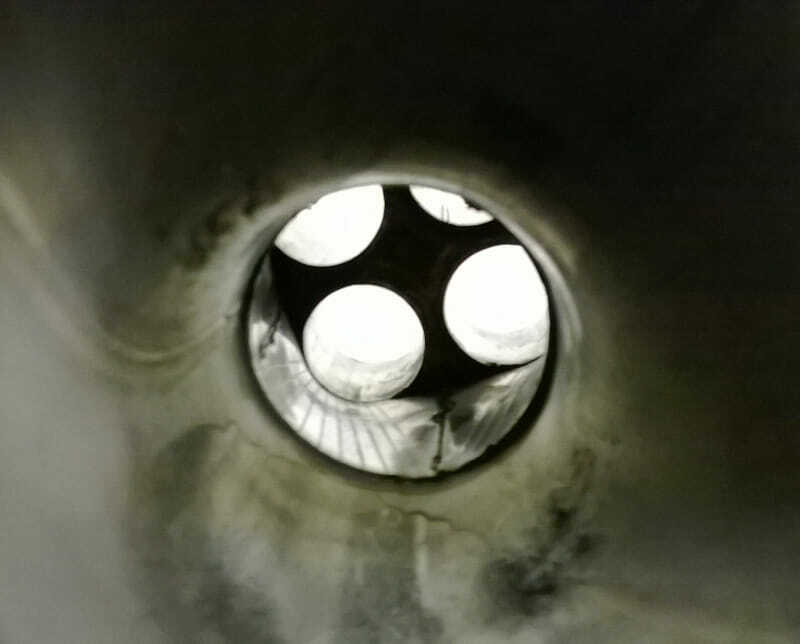 The collector is supplied with its spring tabs welded in position, 2 swivel springs and 2 spring tabs to be welded to your stock header pipes. 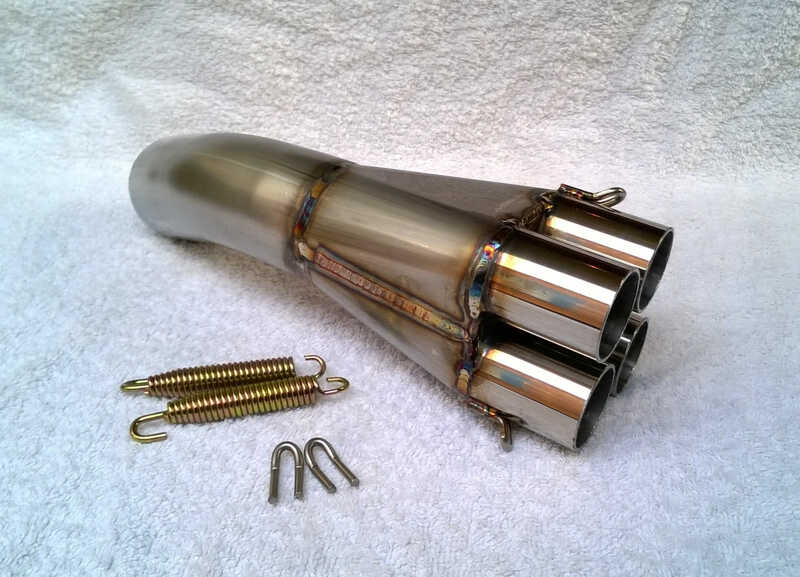 It is designed to be a slip over fit for the 8 valve K100 (you will need to loosen the header bolts to align the ends of the pipes), but will also fit the 16 valve K1100 if the headers are cut from the stock silencer, or if K100 headers are used. Looking for a solution for the K75? See our K75 Link pipe here. Looking for a silencer to go with this collector? We have the perfect race end can to fit here. 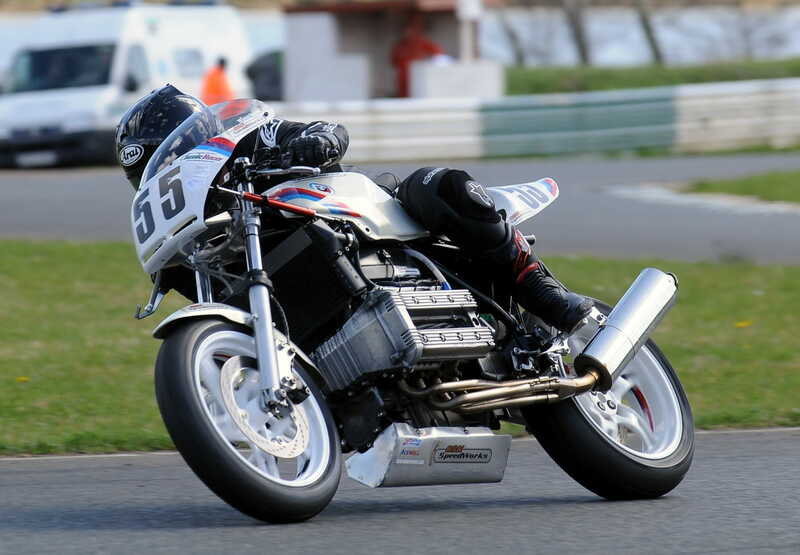 £20 OFF when you buy a collector and a Pro-Race exhaust together. 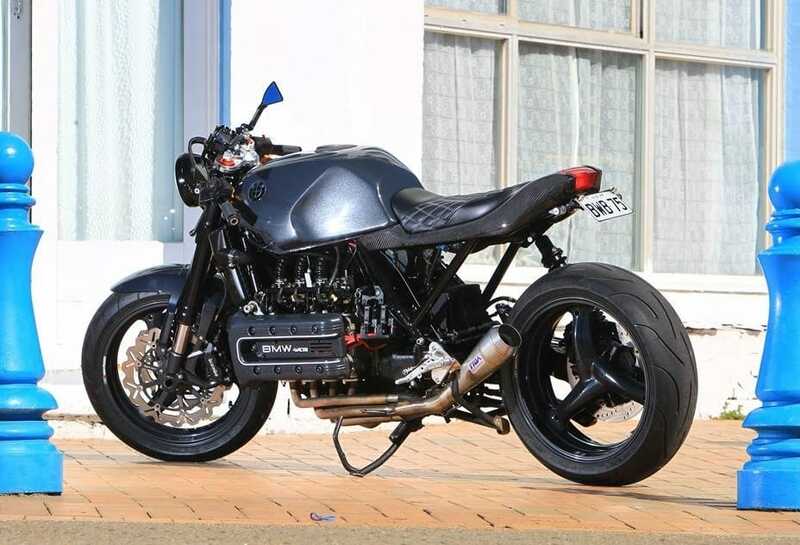 Manufacturer: BSK SpeedWorks - Made in the U.K. 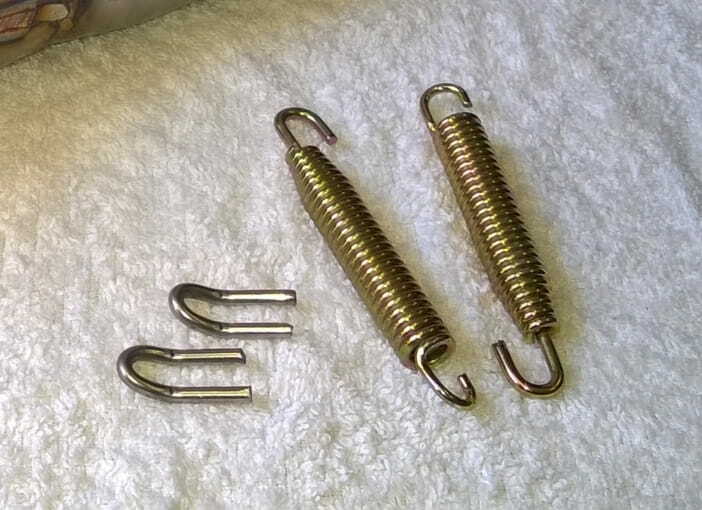 The supplied spring tabs require welding to your header pipes. 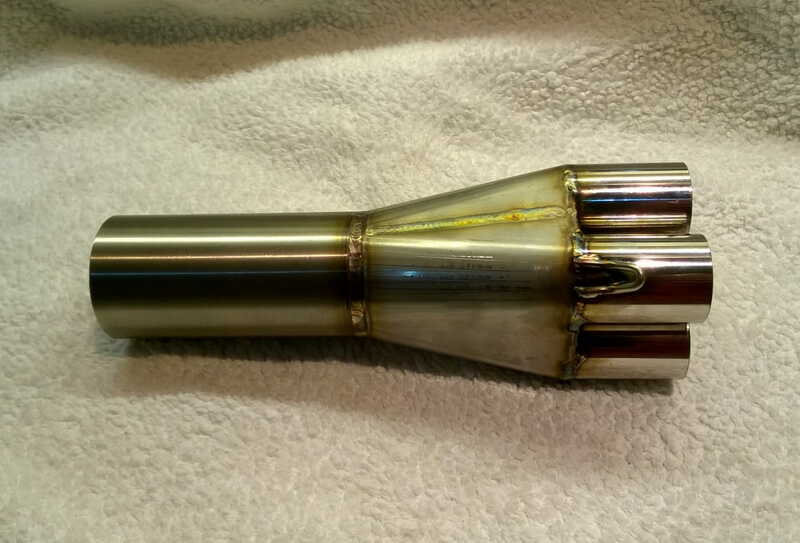 Your preferred silencer will need to be supported by some means, usually a bracket from the gearbox or footrest plate or the frame down tube. 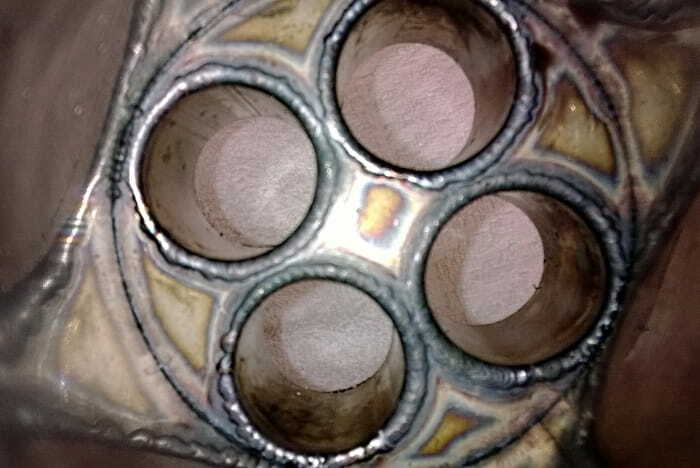 Due to the angle of the stock headers, there is a 0.5mm tolerance on the collector inlets.